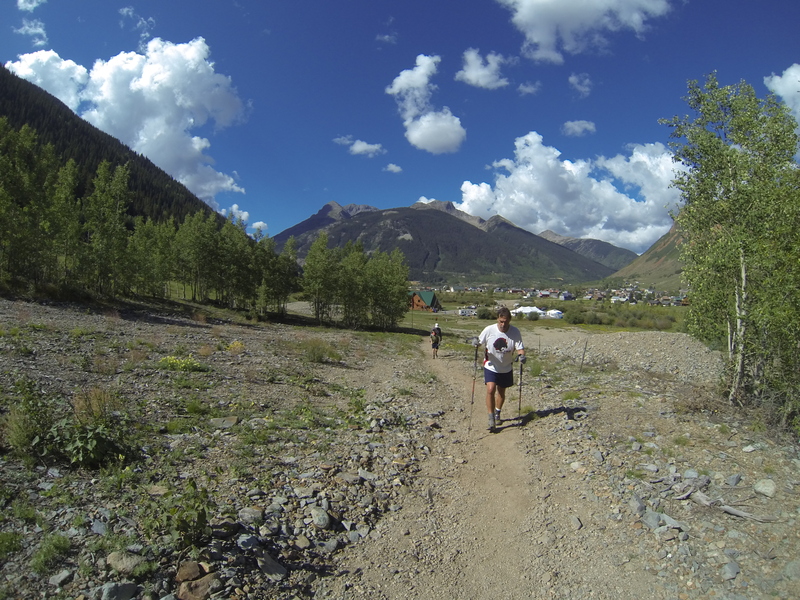 An athlete heads out on the course during the Silverton Challenge multi-day event. Silverton is found on the west slope of Colorado in the San Juan Range. This is the same area where the prestigious Hardrock 100 takes place. Silverton is about a 7 hour drive from Denver or Salt Lake City and the general area includes other majestic places such as Ouray and Telluride, CO. 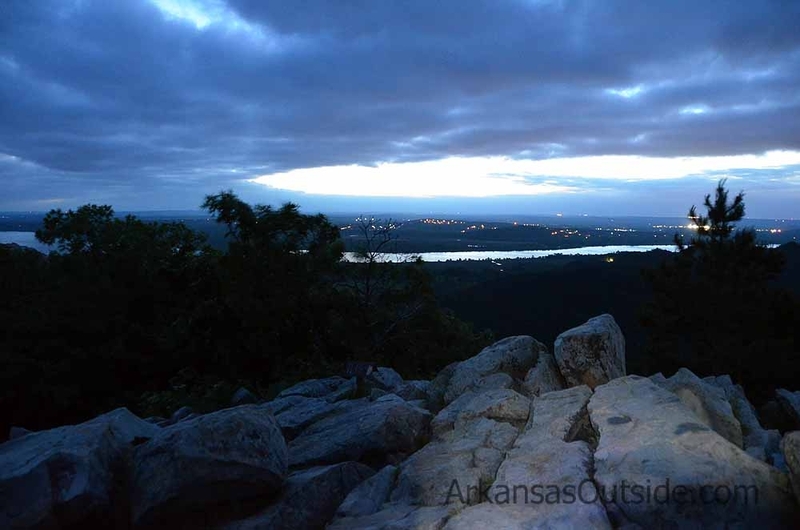 This is truly an inspiring place to visit if you are seeking to reach new heights in your ultrarunning. The course itself sits above 9,000′ altitude. 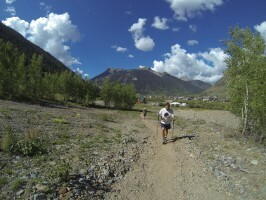 The Silverton Challenge is a multi-day event with 6 day, 72hr, 48hr, and 24hr divisions. The final division is the “1000 mile challenge”, which has eluded all who have attempted. This year, a monumental effort was put forth by this year’s lead runners in the 6 day event, Jeremy Ebel (350 miles) and John Geesler (302 miles). Both Ebel and Geesler had intentions of taking on the 1000 mile challenge but the mountain eventually got the better of them. The 1000 mile challenge requires athletes to both cover a minimum of 1 mile per consecutive hour and a minimum of 350 miles in 6 days as well as other distance requirements. 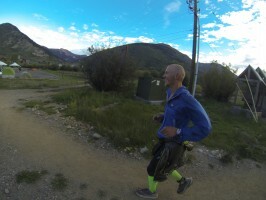 This year, Ebel reached the minimum 350 miles (87,000’ vertical) by day 6 but decided not to continue due to physical breakdown and the impending 13 days of continued loops and sleep deprivation in Silverton. To date, Ebel’s mileage on the course in 6 days is the farthest anyone has gone. Jeremy Ebel putting still trotting miles with a smile on his face after day 5. When I arrived on Saturday (Day 5 of the 6 day race), I found many of the athletes to resemble zombies from the Walking Dead. They had been pushing for a long time already and each of the runners was in their own little world. Beyond tired, most appeared to be going into a new world of physical discomfort. Of course, some of the athletes were still looking somewhat fresh and talkative as they passed the headquarters tent with every lap. I was scheduled to run the 24hr event from Sunday until Monday morning at 9am. Running repeated loops like this for multiple days is not for everyone. I’d share that this is the type of design for those seeking to push themselves beyond their previous personal distances. This is the type of race where someone can safely take themselves to their first 100 miles, 150 miles, or beyond. Safely covering such vast distances on foot can be daunting with regard to safety, so this is a unique place where ultra athletes can venture into that realm of ultra-endurance. The race headquarters/timing tent is a semi-permanent 30’ x 60’ tent complete with heating and electricity. A heated outdoor shower is available near the headquarters tent as well. The race is chip-timed with every athlete wearing a small ankle chip that records their lap when they pass over the timing rug. A television monitor then displays the name and mileage of the athletes as well as what place they are running amongst those in their division. 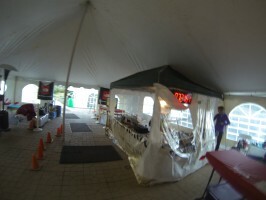 A large aid station/kitchen is accessible to athletes inside the tent. I spoke with several athletes on the course about the food available and all remarks were positive. 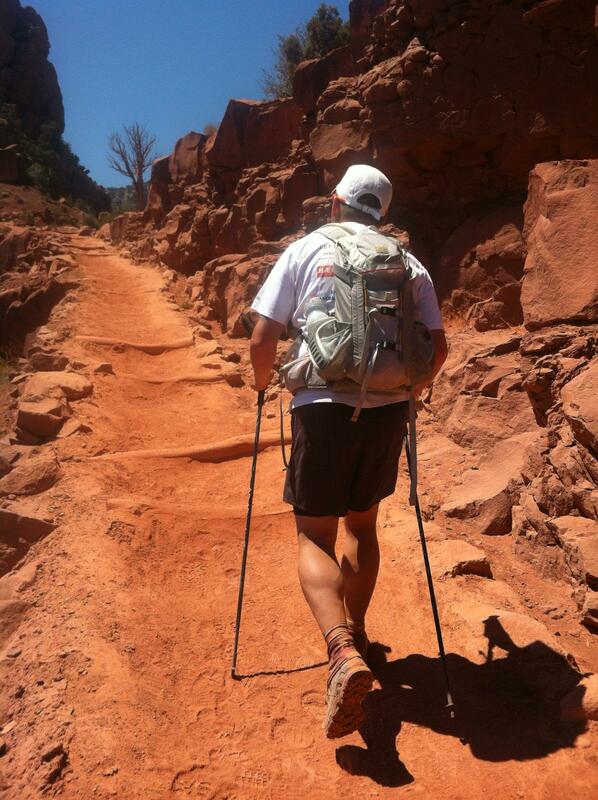 6 day runner Jeremy Ebel told me he looked forward to the main meals provided 3 times daily. 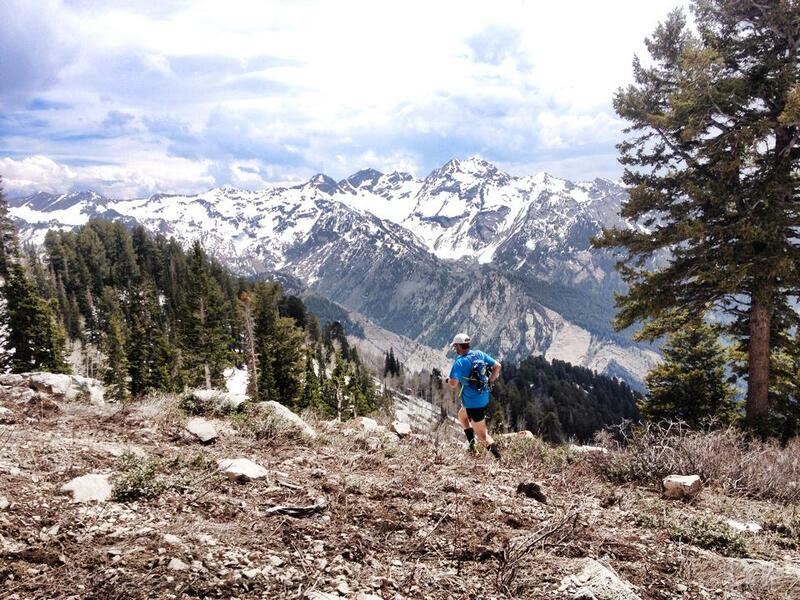 When asked what he had been eating 300 miles into the race, he responded, “Everything”. Another large tent is set-aside for athletes to sleep as needed. Because this event takes place over several days, athletes often need to get some rest before continuing. The sleeping tent had about 12 cots inside with sleeping bags. Another option was to erect a personal tent outside the headquarters area. I had a small 5th wheel camper and race staff allowed me to set up about 100’ from the headquarters tent so I was basically camping “on the course”. It seemed every athlete was given ample opportunity to find comfort however possible and still run these inspiring distances on an arduous mountain course. There were many athletes attempting their first 100 miles on foot. Included, were several young children covering ultra distances in the stated “go as you please” format. That, in and of itself, is unique for a race where kids can accumulate distances in a safe manner and earn the title “ultrarunner”. The timing tent inside the large headquarters area which keeps track of athletes mileage during the race. 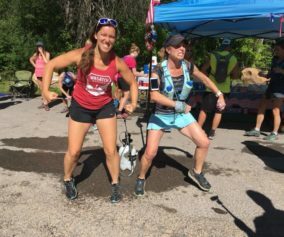 If you are looking for a unique race where you can safely attempt to push yourself to your absolute limit, consider the Silverton Challenge. The 2014 race is already open for registration!